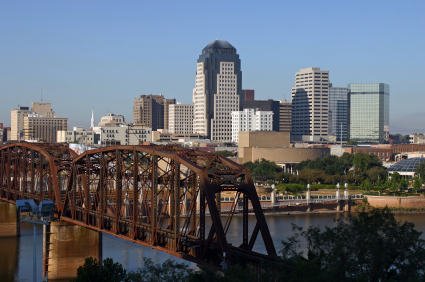 Over the last few years, the cities of Shreveport and Bossier have experienced an influx of families moving in from India, East Asia, and the Middle East. As a piano teacher, I can attest to this fact. Many of my students are from India, and one family is Kurdish immigrants from Iraq. All of them are upstanding doctors in the medical field. I, for one, welcome such vibrant cultures into our twin cities! They bring about interesting ideas and customs. I love chatting with them and hearing their stories. Their kids are always well-behaved and eager to learn. But most importantly, such diversity bring an outburst of various ethnic restaurants! Especially, of the exotic variety. You never know quite what you will get…and it is always a pleasant surprise. This past Saturday, I went to this wonderful Greek and Lebanese restaurant in Shreveport, called Albasha. While looking at the menu, I chose, on a whim, a dish with stuffed cabbage, bell peppers, and squash. All of this was dipped in a savory tomato-based broth. I can thank my gypsy Romanian friend for knowledge of such a dish. It was a great choice—the perfect blend of cooked vegetables wrapped around middle-eastern seasoned ground beef. The broth added a third delightful bite to it. 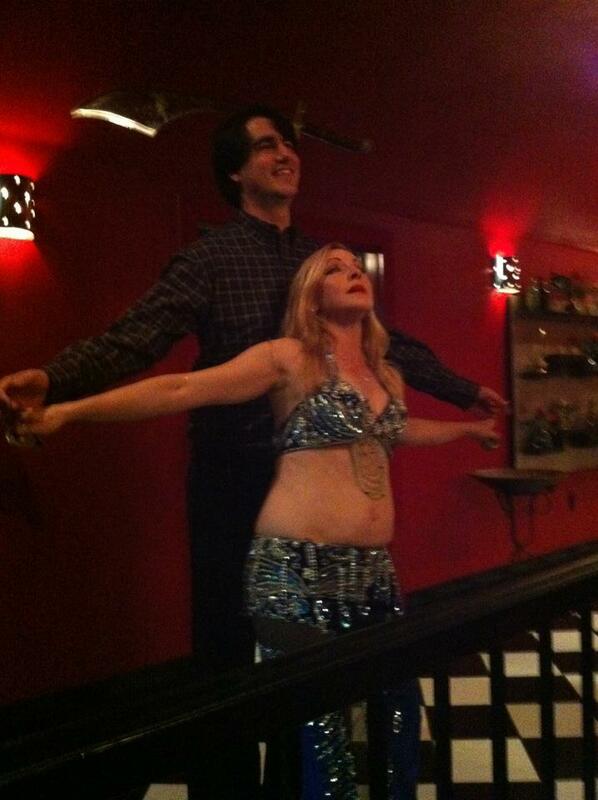 Turns out on Saturdays, they have a belly dancer entertaining in the restaurant, giving the dinner a very exotic flair. 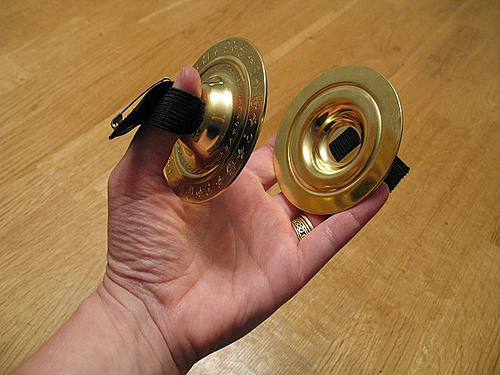 She danced with zills on her fingers, also known as finger cymbals. Mostly, she danced with music from a CD, but at one point, someone from the back brought out a doumbek. The pair played various styles of belly dancing rhythm, the woman on the zills, and the man on the doumbek. It was really fun to watch. 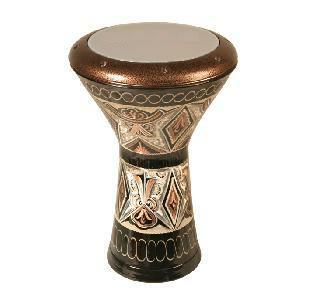 My musical mind was abuzz with wonder at the middle-eastern rhythms! At one point, the audience joined in with a double clap at the end of a two-measure beat. 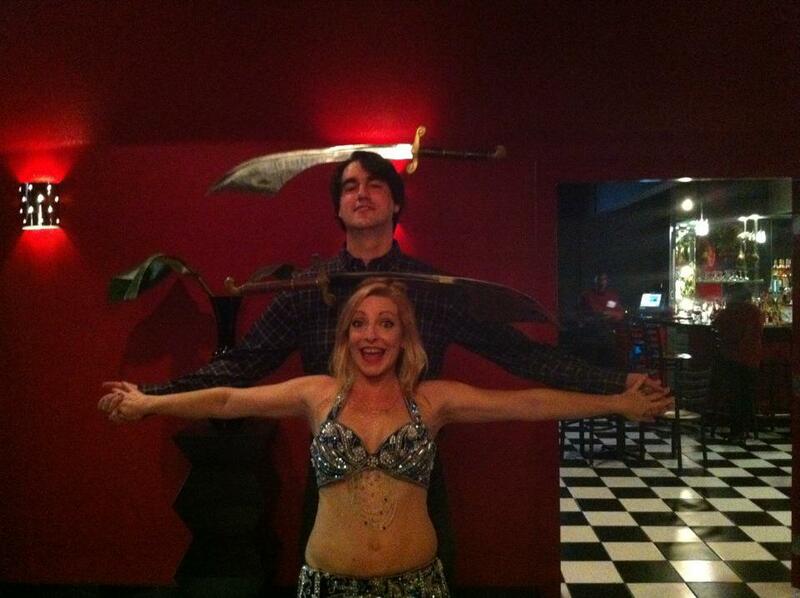 She also danced with a scimitar balanced on her head. In passing the dancer, I gave her a playful wink. Little did I know where this wink would lead me! On her final act, she called me up with her and proceeded to try and balance the scimitar on my head! Now, I am pretty darned tall, so I thought it would be nice for me to kneel on my knee. That, and I wanted to be sure she balanced it right! She told me it was sweet of me, but she’d rather I stand up. I obliged and cringed while she reached up on her tippy toes to place it on my head… at this point, it began to slide off. I felt the heavy weight of the metal sliding now, but what are you supposed to do when a balanced sword is falling off your head… reach up and grab it? I opted, instead, to stand very still. She, on the other hand, attempted to grab the thing. It cut her a bit in the hand. I asked if she was okay. She was very professional with her answer, playing it off as a normal occurrence. I guess in her line of work, she would be right. She asked if she could try it again. I couldn’t say no to such tenacity and let her make another attempt at defeating my height! This time, it was most successful! After the show she apologized, stating that she had thought it was the scimitar with the dull blade. And, to make it up to me, she put the dull blade on my head and the sharp one on hers for a second, and thankfully, less-eventful photo. 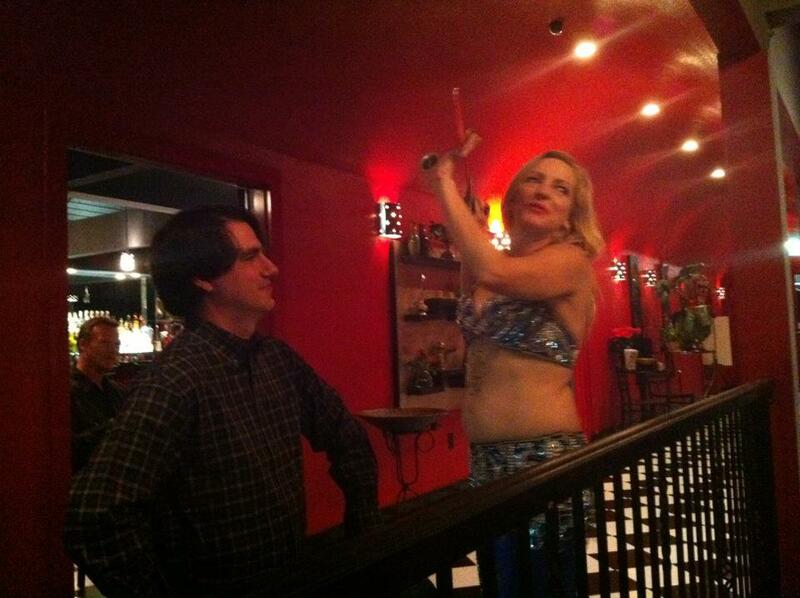 All in all, I had a wonderful time: Great food, great show, and to top it off, I met a new lady friend (not the belly dancer). I recommend the place, if you live in Shreveport, that is. If not, try a local Lebanese or Greek restaurant near you. You won’t be disappointed. Isn’t the Lebanese cuisine just divine? I love it, too; and the Greek! They have a way with spices our hamburgers can’t touch! Of course you have Greek blood in you… a little partiality never hurt anyone. Great ! i love Belly Dance. Represent dance pics is so awesome and i like your information. Great work !